Two-time Grammy nominated Australian saxophonist and composer Troy Roberts is based in New York City, maintaining a busy performance and recording schedule around the globe with some of the greatest jazz artists of today. He’s a regular member of The Jeff ‘Tain’ Watts Quartet, Joey DeFrancesco’s new quartet, ‘The People’, and is currently celebrating his 8th record as a leader, 'Nu-Jive Perspective'. 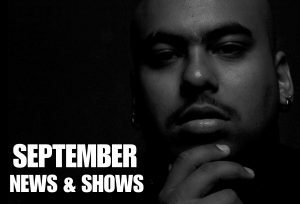 Click the pic to check out my Sept news & shows.. Troy Roberts | Saxophonist & Composer © 2019. All Rights Reserved.